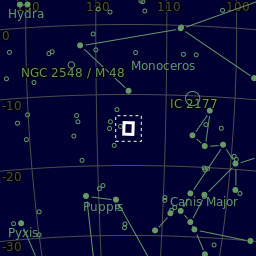 Filters:Baader Blue 2", Baader Green 2", Baader Red 2"
M46 is a rich open star cluster in Puppis constellation. 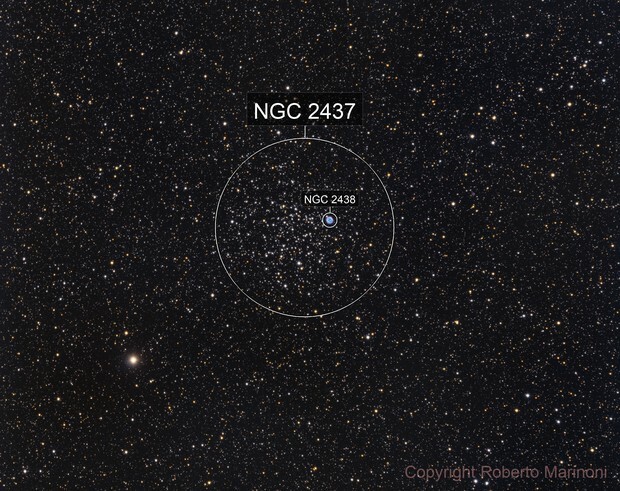 Inside the cluster it is visible a small planetary nebula, NGC 2438: but in reality this is only for a perspective effect, because M46 has a distance of 5400 light years, while NGC 2438 has a distance of 2900 light years. On the image it is visible also another very faint planetary nebula, PK231+4.1, with magnitude 14.4: you can see it at about the half distance between NGC 2438 and the right side of the image.